Oliver Simmons is the founder of Le Pav Timber. Driven by his long standing interest in trees and furniture making, he set up a local Jersey business to reuse the timber from fallen trees on the island. 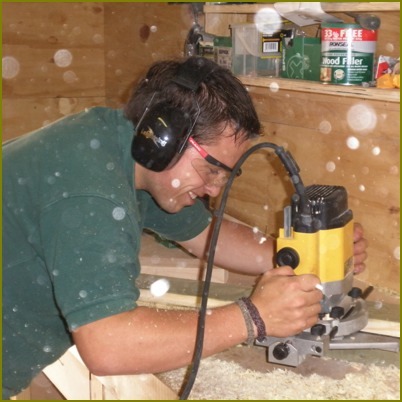 Oliver tells us more about his passion for making the most of our islands timber. My name is Oli Simmons, I run Le Pav Timber. I set up my business just over a year ago when I realised that local timber was mostly being used for fire wood, I thought this was a great shame so decided to try to change that. 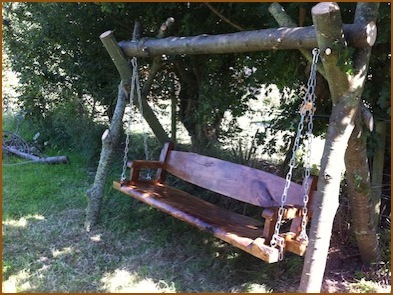 At Le Pav Timber, our aim is to reduce waste and recycle Jersey timber by providing a cost efficient way for people to do something with their trees once they can no longer enjoy them on their land. 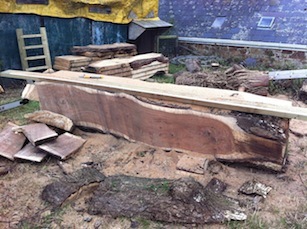 We plank fallen trees which makes the wood reusable, we then use much of this timber to make custom rustic furniture. 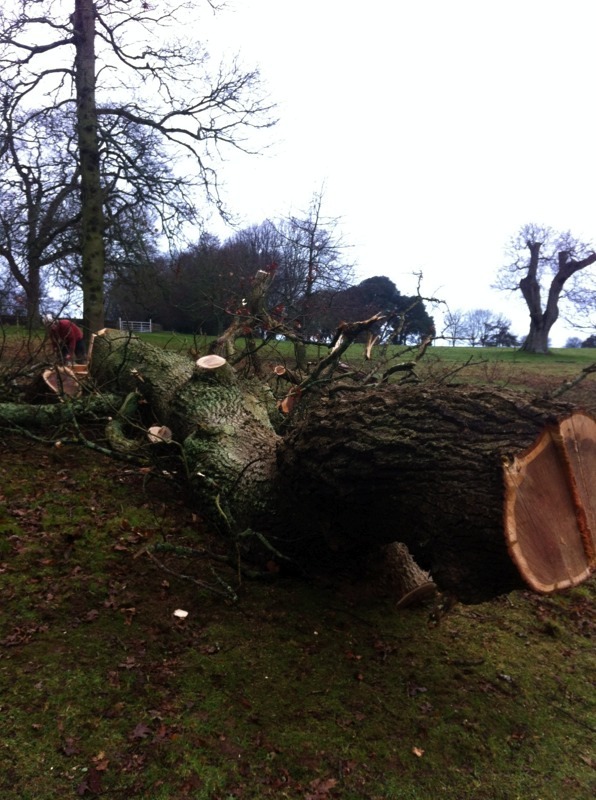 We do not fell trees but work with highly professional tree surgeons who will cut down trees ready for processing by us. I like the thought that I am helping make a difference by making the most of our local resources. I have been making things out of wood for as long as I can remember, I grew up learning from my granddad, working alongside him on various projects. I work alternate months at sea, but when I am at home working on Le Pav Timber, I spend most of my time at my friends farm in St Martins. They are very kind to let me use their barns, and a section of field to run my business from. My day can vary a lot depending on whether I am milling or making furniture. I really enjoy milling timber, every time I plank up a log I get surprised by the wonderful grain of the different woods. Most of the furniture we make is custom designed, working with the customers own fallen trees. We can also make furniture from our stock timber. 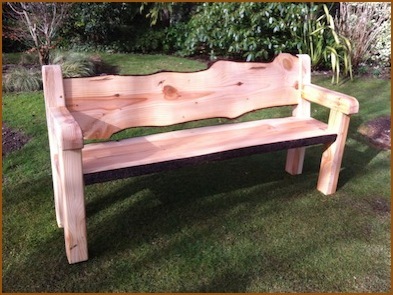 My favourite items to make are benches, I especially enjoyed making a custom swing bench last year. 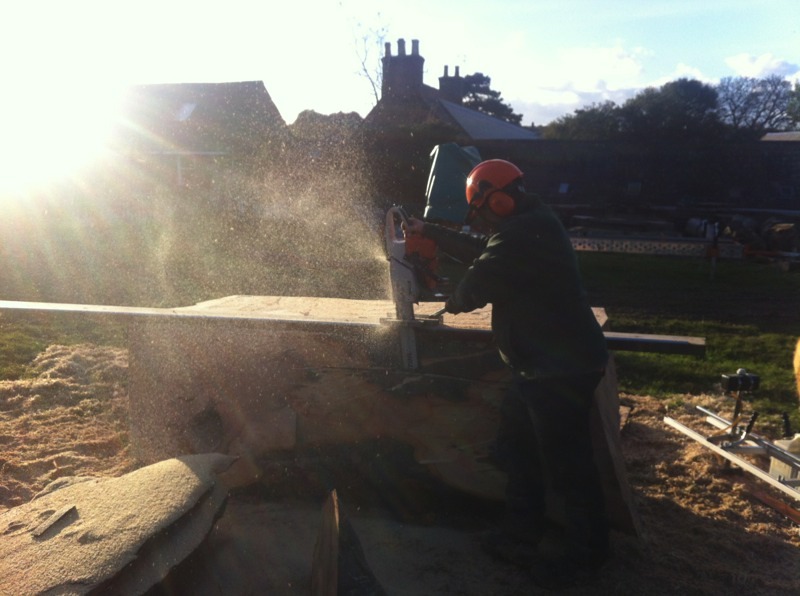 As well as furniture, we sell air dried timber to local wood working enthusiasts and wood turners, and lintels to people who are building houses or renovating them. We are in the process of building a wood kiln to start suppling kiln dried timber to local carpenters. You can find more information about Le Pav's timber for sale, or about custom furniture on their website. To keep up to date with Oli be sure to “Like” Le Pav Timber's Facebook Page.